RARE GREEN LAKE PROPERTY WITH HEAVY INFLUENCE OF RUSTIC MODERN EUROPEAN DESIGN AND NATURAL MATERIALS! THIS 7 BEDROOM, 7 BATHROOM, 2 POWDER ROOM LUXURY ESTATE WITH GUEST . . .
GRAND GATED ESTATE ON SPICER'S GREEN LAKE. BEAUTIFULLY DESIGNED OPEN CONCEPT VAULTED GREAT ROOM AND . 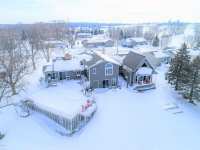 . .
HOME OVER THE WATER, HOME IN THE PARK, TWO CABINS, MARINA BUSINESS &AMP; 48 UNIT RV PARK W/ HOUSE. . . .
ONE OF A KIND RETREAT ON BIG FISH LAKE, OFFERS PRIVATE SAND BEACH,WOOD BURNING SAUNA,FULL OUTDOOR KITCHEN W/ SMOKER &AMP; GRILL, 10' SLIDING GLASS DOORS TO FULL LENGTH . . .
GRAND AND STATELY, WITH A SENSE OF TIMELESS LUXURY. ELEGANT FRENCH COUNTRY HOME FEATURES, OKLAHOMA . . . WARMTH AND ELEGANCE DESCRIBE THIS BEAUTIFUL CUSTOM BUILT COTTAGE STYLE HOME,. THE UNIQUE . 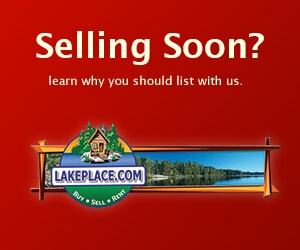 . .
ONE OF GREEN LAKE'S FINEST PARCELS LEFT! THIS UNIQUE AND DESIRABLE LOT OFFERS AN IDEAL OPPORTUNITY FOR INVESTMENT OR DEVELOPMENT, BUILDING YOUR DREAM HOME OR SIMPLY . . . SPECTACULAR LOCATION ON THE NORTH SHORE OF GREEN LAKE, THIS CHARMING COTTAGE IS NESTLED ON 150' OF LEVEL LAKESHORE WITH MATURE TREES. ENJOY THE SANDY BOTTOM AND ONE OF . . .
WOW! 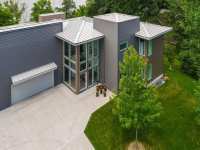 THIS STUNNING HOME IS SITUATED WITH 110' OF LAKESHORE ON GREEN LAKE AND COMES FULLY FURNISHED. FROM THE MOMENT YOU WALK IN THE FOYER, YOU WILL FALL IN LOVE WITH ALL . . .
EPITOME OF YEAR-ROUND LAKE LIVING OR ENJOY THIS LAVISH SPACE SEASONALLY. LASTING BRICK EXTERIOR . 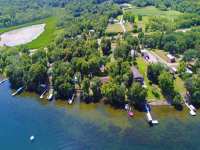 . .
OWN A PRIVATE PENINSULA WITH 500' OF SANDY SHORELINE ON THE POPULAR HORSESHOE CHAIN OF LAKES WITH ABSOLUTLY GORGEOUS 2018 BUILT HOME. UNBEATABLE PANORAMIC VIEWS OF . . .
BEAUTIFUL HOME WITH CASUAL ELEGANCE COMBINE IN THIS GREEN LAKE PROPERTY. SPECTACULAR VIEWS &AMP; . . .
WOW! AMAZING NEWER LAKEHOME ON PERFECT LEVEL LOT WITH SAND BEACH. OPEN FLOOR PLAN FEATURES OPEN . . . YOUR PRIVATE RETREAT! 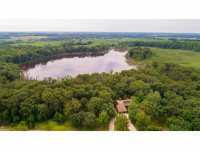 GORGEOUS SECLUDED LAKE HOME NESTLED ON 97 PRISTINE WOODED ACRES SURROUNDING . 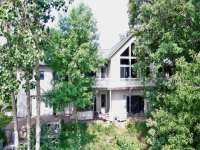 . .
GORGEOUS SECLUDED LAKE HOME NESTLED ON 97 PRISTINE WOODED ACRES SURROUNDING NEARLY THE ENTIRE LAKE. PRIVACY ABOUNDS FROM THE LONG DRIVEWAY TO PRIVATE LAKE WITH ONLY TWO . . . TRULY THE WOW FACTOR HERE! BEAUTIFUL 5000 SQ FT CUSTOM BUILT 5 BED 3 BATH HOME W/ A 50X100 POLE . 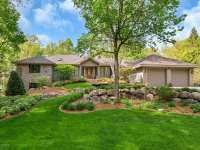 . .
BEAUTIFUL CUSTOM BUILT WALKOUT ON OVERSIZED LOT WITH 130' OF LAKESHORE ON THE SAUK RIVER CHAIN! . 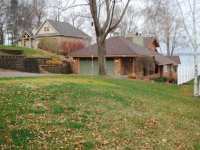 . .
GRAND GATED ESTATE ON WILLMAR’S PRISTINE EAGLE LAKE WITH FENCED, PRIVATE, AND IMPRESSIVE TREE . . . IF YOU'RE LOOKING FOR LEVEL SAND BEACH ON GREEN LAKE, YOU FOUND IT. SPECTACULAR LAKE VIEWS FROM: GREAT ROOM WITH VAULTED CEILING &AMP; TWO STORY BRICK WOOD BURNING . . . THIS ONE-OWNER HOME IS A STUNNING CUSTOM BUILT LOG HOME FEATURING: A SOARING VAULTED CEILING WITH A . . .
PICTURESQUE 175' OF GREEN LAKE WATERFRONT LOCATED ON 1+ ACRE LOT! 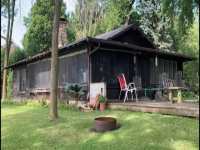 THIS GEM INCLUDES A 2 BEDROOM, 1 BATH MAIN CABIN WITH A BEAUTIFUL WOOD FIREPLACE AND 2 SMALLER CABINS ( . . . STUNNING HOME ON SKATAAS LAKE. 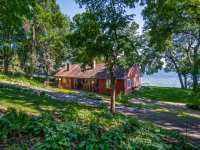 THIS VINTAGE HOUSE WAS COMPLETELY RENOVATED IN 2003-2004 AFTER BEING MOVED IN 1996 ONTO A NEW WALKOUT BASEMENT ON 3.91 ACRES OF LAKEFRONT. . . .
BEAUTIFUL, REAL LOG CABIN ON SAUK LAKE WITH GORGEOUS LAKE FRONTAGE. YOU WILL ENJOY MORNING COFFEE . . . THIS PROPERTY FEATURES OVER 140 FEET OF SHORELINE ON THE SOUTH SIDE OF GREEN LAKE. SITUATED ON ONE OF THE AREAS MOST PRESTIGIOUS LAKES, THIS PROPERTY COULD BE ONE OF THE . . . 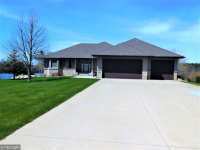 SPECTACULAR CUSTOM-BUILT HOME WITH CRISP MODERN FACADE &AMP; PRIVATE 126’ LAKESHORE ON SAUK LAKE! . . . 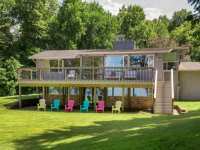 YOUR OWN PRIVATE RETREAT ON 265' OF LAKE SHORE AND ALMOST 4 ACRES OF PRIVACY ON NORWAY LAKE. THIS . . . IF YOU OR YOUR CLIENT HAVE BEEN LOOKING FOR THAT PERFECT SUMMER DESTINATION PROPERTY CLOSER TO THE TC METRO, THIS IS IT. THIS LOT FEATURES OVER 200' OF GRADUAL ELEVATION . . . ESCAPE TO YOUR PRIVATE OASIS. 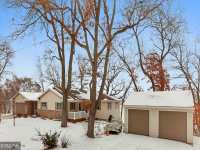 GENTLY WRAPPED IN A BLANKET OF MATURE TREES, THIS SPACIOUS 3-BEDROOM, . . . ENJOY 100 FT OF SHORELINE ON THE NORTH SHORE OF GREEN LAKE. 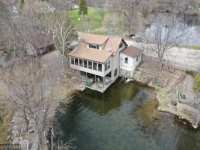 THIS 3 BEDROOM, 3 BATHROOM HOME IS SITUATED ON A DEEP LOT WITH PATIO RIGHT ON THE LAKE. HOME FEATURES KITCHEN . . . 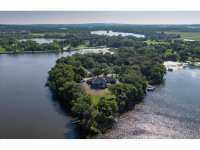 ALWAYS DREAMED OF OWNING AN ISLAND? THE WAIT IS OVER. 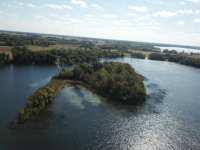 THIS BEAUTIFUL 8.55 ACRE ISLAND IS READY FOR YOUR CREATIVE STYLE. 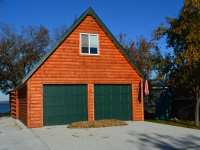 DON'T BUY SOMEONE ELSE'S DREAM HOME/CABIN, BUILD . . . CUSTOM WALK-OUT RAMBLER ON LAKE WASHINGTON. BOASTING OVER 3500 FSF, 3 BEDROOMS, 3 BATHROOMS, AND A . . . WARMTH AND ELEGANCE DESCRIBE THIS EXECUTIVE CUSTOM BUILT HOME. THE UNIQUE CHARACTER MAKES IT . 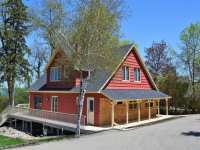 . .
GORGEOUS FULLY RENOVATED LAKE HOME ON PREMIER BIG BIRCH LAKE. MANY RECENT IMPROVEMENTS INCLUDING GRANITE &AMP; MARBLE COUNTERTOPS, NEW APPLIANCES, NEW HEATING &AMP; . . . 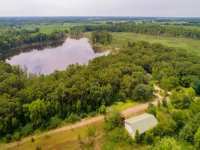 TRULY ONE OF A KIND LAKE PROPERTY! 1+/-ACRE LOT, 155' LEVEL SAND BOTTOM SHORELINE W/CRYSTAL CLEAR . . . 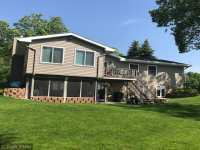 STUNNING 4 BDRM 3 BTHRM 1 OWNER HOME ON BEAUTIFUL LAKE KORONIS A FANTASTIC LAKE FOR FISHING AND RECREATION OFFRS BRIGHT OPEN FLR PLAN W VAULTED CEILINGS,HUGE PRIVATE LOT . . . STUNNING 24' FLOOR TO CEILING LAKESIDE WINDOWS IN THIS AMAZING HOME BRING THE BEAUTY OF NATURE INDOORS! PLUS ALL THE OUTDOOR ACTIVITIES! SUMMER FISHING, ICE FISHING, . . . 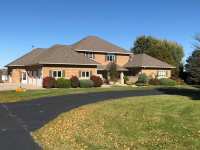 IMPRESSIVE YEAR ROUND HOME ON POPULAR SAUK LAKE. ENJOY 120' OF SHORELINE W/HARD SANDY BOTTOM &AMP; GRADUAL SLOPE. RELAX BY THE OUTDOOR HEATED POOL, ON THE LG DECK, PATIO . . . 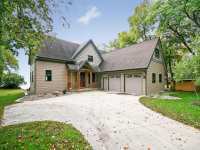 IMPRESSIVE YEAR ROUND HOME ON POPULAR SAUK LAKE. ENJOY 120' OF SHORELINE W/HARD SANDY BOTTOM & GRADUAL SLOPE. RELAX BY THE OUTDOOR HEATED POOL, ON THE LG DECK, PATIO OR . . . THIS ONE OF A KIND HOME IS FULLY UPDATED WITH THE HIGHEST END FINISHES &AMP; CUSTOMIZATION. FEATURING BEAUTIFUL VIEWS OF THE RIVER WITH HUGE DECKS, A POOL &AMP; HOT TUB. . . . 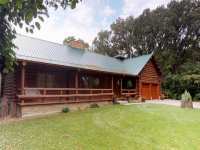 ENJOY PEACE &AMP; TRANQUILITY OF LAKE LIVING WITH 3,187 SQ FT, 4BED/4BATH HOME NESTLED ON 4.7 WOODED ACRES &AMP; 325FT LAKESHORE. VAULTED CEILINGS, OPEN-STAIRCASE &AMP; . . . ENJOY COUNTRY STYLE LIVING JUST MOMENTS FROM TOWN. 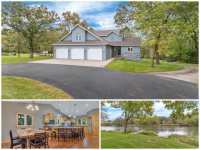 THIS INCREDIBLE 5 BEDROOM 5 BATH HOME OFFERS EXCEPTIONAL VIEWS OF THE MINNESOTA RIVER VALLEY. 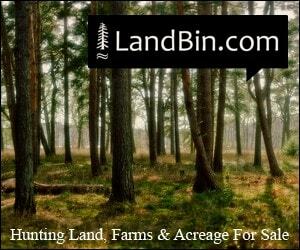 THE 6 ACRE LOT ADJOINS . . .
DREAM HOME ON LAKE FLORIDA! 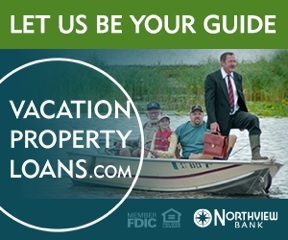 WHETHER YOU ARE LOOKING FOR A YEAR-ROUND HOME OR A CABIN TO ENJOY, THIS PROPERTY HAS YOU COVERED! BEAUTIFUL LAKE VIEWS CAN BE SEEN FROM THE . . . DESIRABLE INDIAN BEACH RD CABIN ON LEVEL LOT AND SANDY BEACH. A FIRE RING ALLOWS FOR BEAUTIFUL EVENING BONFIRES ON THE COOLER CHILLY EVENINGS, WHILE SCREENED IN PORCH . 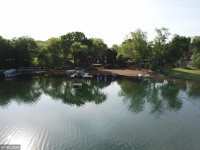 . .
5 BEDROOMS, 3 BATHS ON 50' OF SHORELINE ON PRISTINE GREEN LAKE. TWO SEPARATE FAMILY ROOMS OFFER PRIVACY AND OPPORTUNITIES FOR ENTERTAINING. MODERN CABLE STYLE RAILING . . .
YOU WILL ADORE THIS LOVELY HOME ON GREEN LAKE'S SOUTH SHORE. LOADED WITH STYLE AND CHARACTER. VIEWS OF THE WATER FROM NEARLY EVERY ROOM IN THE HOUSE. UPDATED KITCHEN . . . 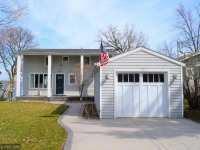 COMPLETELY REMODELED LAKE HOME! 5 BEDROOM, 3 BATH RAMBLER ON PLEASANT LAKE. THE HOME WAS ENTIRELY . . . ENJOY THIS YEAR ROUND HOME ON THE COLD SPRING CHAIN OF LAKES AND RICH-SPRING GOLF COURSE. 200 FT. OF SANDY BEACH, VAULTED CEILING WITH STAINED GLASS WINDOWS OVERLOOKING . 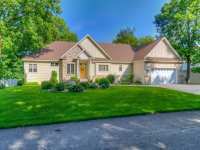 . .
BEAUTIFUL WALKOUT RAMBLER ON HORSESHOE CHAIN OF LAKES! MAIN LEVEL FEATURES LARGE KITCHEN WITH CUSTOM MAPLE CABINETS, CAMBRIA COUNTER TOPS, VAULTED CEILINGS, 3-SIDED . . . STUNNING 5 BR, 4 BATH HOME LOCATED ON PLEASANT LAKE. KITCHEN W/ GRANITE COUNTERTOPS, SS APPLIANCES &AMP; CUSTOM OAK CABINETRY. EAT IN BREAKFAST BAR. ENJOY THE OPEN . . . 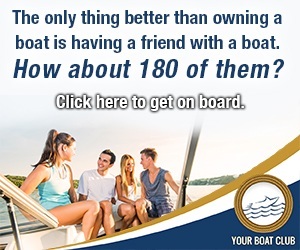 LOOKING FOR A LARGE YARD ON THE WATER? THIS IMPRESSIVE AND SPACIOUS WALKOUT 2-STORY WATERFRONT . . .
LakePlace.com participates in Greater Alexandria Association of Realtors Broker Reciprocity (sm) program, allowing us to display other broker's listings on our website. Information Deemed reliable but not guaranteed. Information is being provided for consumer's personal, non-commercial use. 31 Listings in Cold Spring MN ..
6 Listings in Darwin MN ..
19 Listings in Dassel MN ..
13 Listings in Litchfield MN ..
6 Listings in Melrose MN ..
4 Listings in Montevideo MN ..
17 Listings in New London MN ..
12 Listings in Paynesville MN ..
27 Listings in Richmond MN ..
48 Listings in Sauk Centre MN ..
28 Listings in South Haven MN ..
82 Listings in Spicer MN ..
10 Listings in St Cloud MN ..
8 Listings in Sunburg MN ..
23 Listings in Willmar MN ..